3 Ballerina tea weight loss reviews can be found all over the internet, I have personally not experienced using ballerina tea for weight loss, but listed below is some reviews from people that have actually used this tea for weight loss below in the article you can find ballerina tea weight loss reviews by real people who have used the product. Use this tea with caution, but it does really work. It works, but it isn’t safe for long term use!! “I purchased ballerina tea as I read lots of reviews from different places and people seemed to be satisfied with the results they where getting. The product made me go to the bathroom very often and it took 8 to 10 hours for it to take effect. I experienced stomach cramps and pain which is stated that it can happen. I absolutely love this stuff!! Lost 11lbs in just 3 weeks!! This was just a few of many 3 ballerina tea weight loss reviews that I could find online, I quick search on Amazon and other places that sell ballerina tea and you can find a lot of reviews. Looking at it the product works for some people and others it does not. I guess in all cases it really depends on if you are eating the write stuff while drinking the tea, and not just drinking it thinking it may help you to lose weight when you are eating a lot of junk food. This special dieter's tea, soothing and relaxing especially delightful for those desiring to adjust weight. 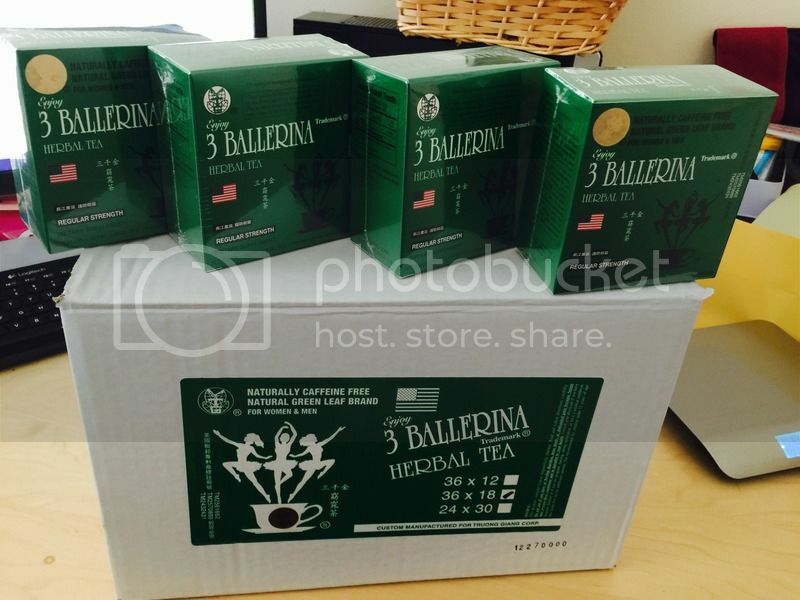 3 Ballerina Tea Dieters' Drink is blended with the premium natural herbs. The formula and preparation are based on an old Chinese book of medicine, Detailed Outlines on Chinese Herbs, by Lee Se-Zhen, 1518-1593. After centuries of use, it has proven to be one of the best healthy beverages for dieters. Follow directions carefully. Do not use if you have or develop diarrhea, loose stools, or abdominal pain. Consult your physician if you have frequent diarrhea. If you are pregnant, nursing, taking medication, or have medical condition, consult your physician before using this product. Suggested Use: Drink one cup of this tea before bedtime or after meals. When first using this tea, make it weak by brewing it briefly. Extra bowel movements may be expected in the 1st or 2nd day after using this tea. Brewing Directions: Steep 1 tea bag in a cup of boiling water for 3-5 minutes. For a delicious change, add your favorite sweetener. Notice: This tea is not recommended for elderly, pregnant women and nursing mothers or have a medical condition.